The name’s Kobe, I’m a relatively new player to Gentry. Apart from loads of kitchen table stuff when I was a kid (mainly consisting of 2 players tickling each other with Mirrodin mana dorks before slamming down all powerful 6/6 blue defender serpents), I only really got into magic about a year ago after playing a Rivals Of Ixalan prerelease on a whim, and stumbling my way into a 4-0. After that Gentry, the only format sustainable on a student budget, became my new gaming love. Months and months of cloudblazers baby! However, the thing I’ve come to enjoy most about Gentry (and I don’t think I’m alone in this), is the format’s leniency towards creative deck building. Now, whilst I will give the hat and mantle of ‘most interesting deck builder’ to plenty of others (Jelle, Joris, Tom,..), what I will try and compete for is another trophy I just made up: ‘most obsessed with tinkering with common cards’. I love scanning through scryfall.com in the search of that perfect 58th common card, or that perfect sideboard meta call (because that’s generally what it’s all down to for your Gentry sideboards). All in order to integrate them into decks that are already somewhat established. Healing Grace and Dual Shot in Jeskai Control. Charge in White Weenies. 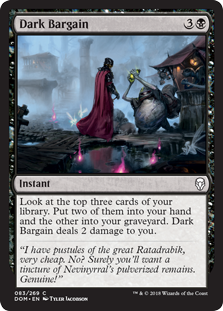 Dark Bargain or Secrets Of The Golden City for any midrange deck. Those kinds of things. Through that lens, I’d like for us to go on a little adventure to Ravnica Allegiance. I hope to enthrall you all along the way with tales of amazing Gentry cards, that you’ll never see in any standard deck, but which I’m more than excited about. “GUYS SLIMEBIND”. I think that’s how I tried conveying the message on facebook to my Gentry brothers in arms Joris Verhelst and Sander De Quick. Many lols and laughs later it dawned on them I was being somewhat serious. I mean, it’s probably not that in any way, not when there’s a sorcery-speed Lightning Bolt (*sigh*). Slimebind is however exactly what any Blue/Red-based control deck that wants to cast Niv-Mizzet reliably needs. And you probably do, Niv’s a great daddy to all control players who seek his help. So in Ravnica Allegiance that could be your standard Izzet control deck, or one that (as I almost always do personally) splashes either White (for Teferi, Hero Of Dominaria and Ixalan’s Binding), Black (for The Eldest Reborn and maybe Nicol Bolas, The Ravager) or Green (for Wild Reclamation). What have I personally found, as someone who has played one variation or another of decks such as these for the entirety of the season so far, to be one of the toughest holes to fix? It’s good turn 2 interaction. Imagine it’s the Turn 2, on the draw, and you’re playing versus a deck that looks to be aggressive. First of all, I hope you’ve either built your deck properly or said your prayers, because without that Shivan Fire ready to go, things are about to get ugly. If so however, this is a spot recognizable to almost all players: there you are, facing down a mean 2-drop. What do you do? What can you do? What you want is something to cover all bases. You want to be able to counter a 3-drop, or remove that creature should your opponent decide this is the turn to do something silly, like playing something you never can/want to counter (just a 1-drop, draw, sling burn spells). Thus far, the only way to get around that was to play something like Lightning Strike in your 2-slot. Yes, Lava Coils are nice, but you’re tapping out for those. Regardless, none of this feels good, because you want to use those uncommon slots for really good, game-winning cards like Chemister’s Insight, Fiery Cannonade or Murmuring Mystic. That, and a fear of Carnage Tyrant and White Weenies, has made me move towards a very, very controlling Jeskai deck which doesn’t run Niv, but does run 2 board clears. It’s a true devil’s bargain. Yes, I make it super hard on myself versus other, much greedier control decks, but I gain cards like Revitalize and Gideon’s Reproach. But what if that’s not what you want to do? What if there where a way to keep that nice mana base? Meet Slimebind. Only 1 and a blue (which you already have to counter spells, what are you, a midrange player? ), and you get to cast it whenever you feel like. -4/-0 Shuts down almost every early single early-game threat that something like Strike would deal with, and OH YES IT DEALS WITH THE MOST ANNOYING 2-DROP IN GENTRY. I’m talking of course about Adanto Vanguard, the counter-or-weep winrate-slingshot versus any control deck. “But it’s not an instant or sorcery” Fair point. Don’t run it in your Drake deck then, but if you’re looking to control the board and win with something other than two 12/4 flyers, I would recommend trying out two to three Slimebinds and seeing how you feel. No, again, I am not joking. With no doubt on my mind do I consider this an A+ addition to quite a few Black-based midrange decks. What is the annoying thing about playing Golgari or Dimir midrange decks. You know, the fun value ones, with all those card draw, discard and ramp creatures? All those sweet card-advantage generating abilities are on top of measely 1/1 bodies. Now, 1/1 bodies aren’t bad. In fact, if you hit your opponent 5 times over the head with 4 of them (#QuickMaths), you even win the game. But wouldn’t you like to use those bodies in a more effective way? Ravnica Allegiance promises many things in regards to this desire, most of all perhaps some sort of sacrifice deck I quite haven’t figured out yet. Vicious Offering is already one established way to go. Bladebrand isn’t quite as catch-all as Offering, which can take down drakes as well as Adanto Vanguards. I’m not dissing on Offering, I’d never betray a friend like that. But Bladebrand does offer me one thing Offering can’t: card draw. And I love card draw. Perhaps even more than I do killing things. Even more, Bladebrand, like any good seductress, promises me a world in which I can have both. 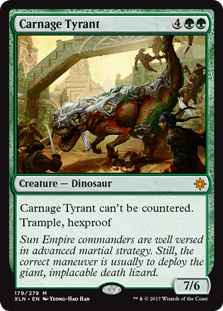 Trade my 1/1 for your Thrashing Brontodon, draw a card. Sounds neat, doesn’t it. Imagine doing something like that with a Dusk Legion Zealot: in total, you would have spent 2 cards, drawn 2 (one from the Zealot, one from the Brand), and killed a thing. So that’s a free removal, card-advantage wise. That’s pretty nuts. It also has that Supernatural Stamina effect I loved whilst playing Dimir midrange decks in the last rotation; it forces your opponents to be much, much more scared of your 1/1 duderinos, (or duderinettes) making them not attack or block when they actually can without consequence. 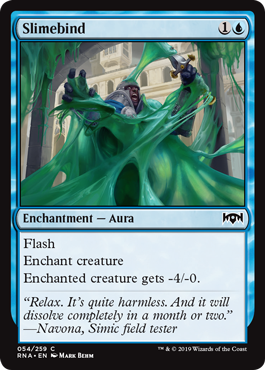 It’s like a single Spell Pierce in your deck, catching people off guard once and haunting them the rest of the match. I would totally try out at least one or two in your midrange Golgari-or-equivalent deck. Maybe less of a hidden gem to some, Growth Spiral looks like so much fun to me. The ability to put a land card into play is probably the hardest kind of ramp to gauge, but again, it’s all about drawing that card. That and the fact that card can be played at instant speed. Generally, I would argue that incorporating ramp into any other type of archetype other than “a ramp deck” is hard to judge. I mean yes, mana is fun, but you don’t want something that just gives you mana. A Llanowar Elf might seem neat in any green deck, but if you’re not doing anything with that 1/1 body, or you really like 3-drops, I think it’s a hard card to value. I would argue that’s the reason you mainly see Druid Of The Cowl and Elvish Rejuvenator. The first because those decks generally don’t have that much better to do on turn 2 than cast a 1/3 anyway, the second because it kind of gets you card advantage. People were never running Grow From The Ashes willy nilly, but because they like casting Sifter Wurm. Anyway, that may all be common knowledge among people with far more sets and rotations under their belt, I don’t know, I’m just reiterating it for clarity. 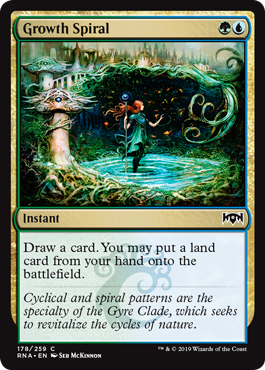 Growth Spiral does a similar thing in that the card’s not asking you to commit to anything. You just, again, at the cost of cycling card, get to play a land in your hand as if it’s a mox. And by now we all should’ve learned that moxes are better than forests. Almost every deck has room for these small, draw-with-upside kind of spells, and I think Growth Spiral is the perfect one. I mean, I don’t think it’s quite necessary to go over all the different sorts of ways ramping one mana can greatly influence your game. The only challenge is finding a deck that can reliably cast this on turn 2 or 3. In that case 3 would be more a defensive play: you Growth, play a land, cast Essence Scatter – or some sequence like that. Not to mention the fun Tatyova, Benthic Druid interactions! Temur Control (an archetype I’m really looking forward to) is a nice fit obviously, but so is something like Joris’ Merfolk midrange deck. Pester him for an article on it if you’re interested in that build, it’s very archetypical of what Simic wants to do in Ravnica Allegiance in my opinion. Anyway, if you’re even considering running cards like Frilled Mystic or Tats, Growth spiral is exactly what you wanted in Gentry. All four copies, probably. If you’re in that market btw, there’s also Applied Biomancy to help you along. Mentioned it earlier, and to be honest – I think I’m going to hate this card. 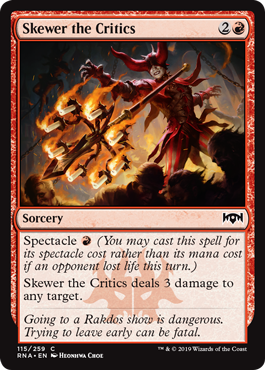 Yes, Skewer The Critics is essentially Lightning Bolt in any deck that’s looking to smash the opponent in the face. Turns out, there’s quite a few decks that want to do that at some point, not just Mono Red. Got a typical Gruul collection of big trample monsters? Hey, maybe it’s worth your consideration then. It’s Pounce! You like Pounce already, maybe, probably. 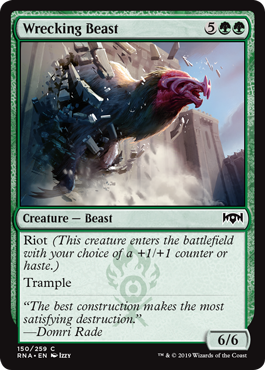 Instant speed makes it considerably better than Prey Upon, shutting down Ajani Pridemates before their prime. Titanic Brawl can give you best of both worlds if you’re running Riot, Adapt or Explore creatures. There’s always room for different counterspells. Quench might be a worse variant of older, better cards like Mana Leak or Rune Snag, but it’s still somewhat that early cover-all-bases spell you want. I would run at least six or so Jump Start cards (or equivalent) to ditch it late game, but you could totally make it work. Hey you know you want to build that deck. Twelve or more Persistent Petitioners, some Psychic Corrosions… Oh won’t that be fun. Early testing has pushed me more in the direction of a deck that relies on just Corrosion and new cards like Thought Collapse instead (more counterspells, Slimebind, draw,… that sort of thing), but hey I would love to be proven wrong on this one. 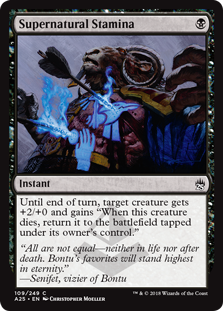 If you can be sure your Black deck can reliably deal damage to your opponent without to much repercussion, then a 3-mana 3/2 body that draws a card is insane. 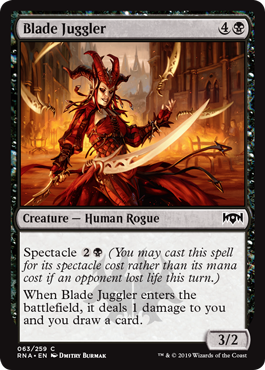 If there’s such a thing as an Orzhov or Rakdos deck, then I can only imagine Blade Juggler is in it. But apart from the usual “oh guild mechanics might make for good decks”-sentiments, I think it might be a worthy inclusion in those Bladebrand decks we talked about earlier. You can swing in with those 1/1’s, kill their blockers if they block, or play a Juggler if they don’t. 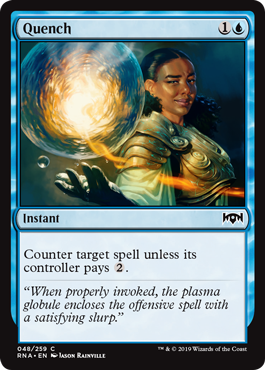 Arrest is a good limited card, but never quite what you want to play in Gentry, mainly because 3-mana sorcery speed removal is super clunky. Lawmage’s Binding however, is instant speed, a massive difference for 1UW. If anything makes Azorius control more worth playing in Gentry, it’s this card. And Azorius is already pretty good, as I kind of went over in the Slimebind section. Also, though the era of the Scarab God may have ended, the second part of the spell (shutting down activated abilities) might not feel as relevant, but a mechanic like Adapt might make it worth considering. In Gentry , it’s the midrange, creature-based decks that I often feel are disadvantaged by the limitations of the format. Control decks can get good main deck commons in the form of early removal (Moment Of Craving etc.) and counterspells, Aggro decks just need Savannah Lions, above-averagely statted one drops, to be good. Even midrange decks can be good if they adopt a very value-based strategy and thus can include those low stats + card advantage cards (Thraben Inspector etc.). But if you’re in the market for just well-statted bodies, then you’re in the wrong part of town. Wrecking Beast is not a great card, but it’s also a 6/6 Trample Haste creature. That’s as good as it gets for common creatures at the moment. Yes there are uncommons that are clearly better, but that’s hardly ever an argument in Gentry. I’m probably the most unsure about this one, but definitely won’t be dismissing it as a draft-only card. Aight, well, that’s about it. Feel free to hold me accountable for any of these, but overall the point is more to give you some ideas for deck building, rather than strict meta-predictions. So don’t give me too hard a time if we’re not in a Wrecking Beast meta in a a few months. Worst case scenario I’ll be having so much fun sliming, binding, blading and branding – by myself.